Professor Wong assists and deputizes the President/Vice-Chancellor in the management of the University, especially in the areas relating to strategic planning, academic development, allocation of resources, human resource planning, and other strategic initiatives. Professor Y.C. Richard Wong, SBS, JP, is Chair of Economics and Philip Wong Kennedy Wong Professor in Political Economy. He joined the University of Hong Kong in 1992, served as Director of the School of Business from 1997 to 2001, founding Dean of the Faculty of Business and Economics from 2001 to 2004, and Provost and Deputy Vice-Chancellor during 2004-2010; he is appointed interim Provost and Deputy Vice-Chancellor from April 2019. Professor Wong was educated at the University of Chicago. He taught at the Chinese University of Hong Kong from 1976 to 1992. His main research interest is in economic policy analysis and regional economic development. He is principal investigator of the University Grants Committee's Area of Excellence award for research in economic policy and business strategy. 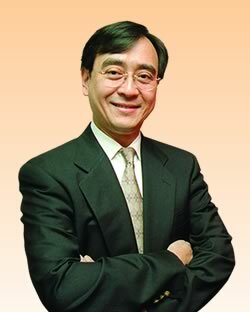 He had served on numerous professional and public bodies and was awarded the Silver Bauhinia Star in 1999 for his contributions in education, housing, industry and technology development and was appointed a Justice of the Peace in 2000 by the Government of the Hong Kong Special Administrative Region.